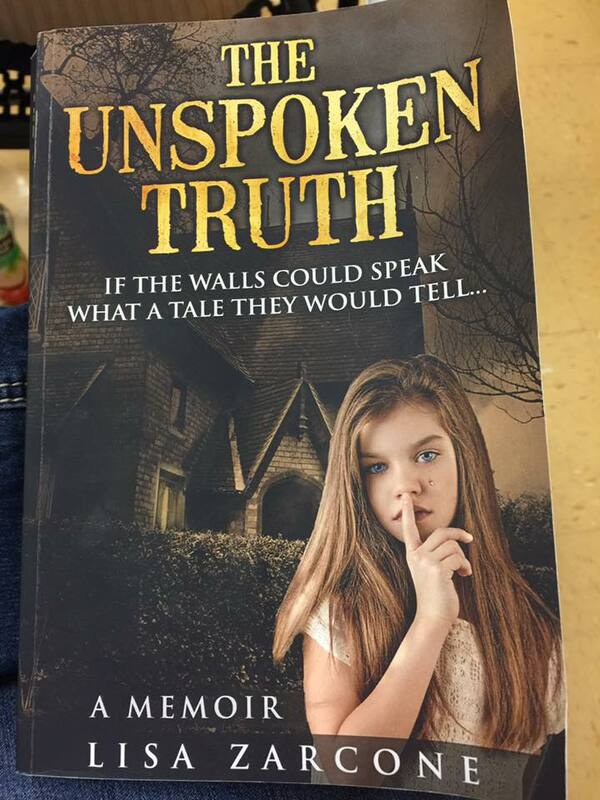 10] Lisa Zarcone - author of The Unspoken Truth, is one remarkable woman. Her childhood was nothing less than hideous. Her ability to survive in her silent world of treachery is truly astonishing. Writing this novel is her way of giving back. Today we’d like to introduce you to Lisa Zarcone. I am the author of The Unspoken Truth A Memoir. My story is raw, riveting and real. I grew up in a very dysfunctional household as I describe in my book as the house of horrors. My mother was severely mentally ill and the abuse I sustained by her hands as well as others is nothing short of hideous. Unfortunately, my mother did not get the proper help and support and her poor judgment let me down a path that opened me up as prey for others who came to claim what was never theirs to take in the first place. I write my story through the eyes of a child giving the reader the child’s perspective of abuse right in the moment. My story starts out at the tender age of 6 years old losing my brother to Leukemia. That is when my little world came crashing down around me. I was young, innocent, scared and confused, with only loss of innocence and blind faith leading me through this unbelievable journey. I decided to write my story about 8 years ago after the death of my father, with his passing it brought up a lot of old memories and feelings that I had buried so many years ago. I lived with this silent pain for far too long the emotional damage burst into overdrive. I did seek counseling and during that time I began to write down my story, and as I made it through the process I not only began to heal but I wrote my memoir! I became dedicated to seeing it through to publication, which I did on my own. I had to learn everything from soup to nuts. What a huge task, and learning experience, as this is my first book. I read, researched and studied everything that I could to help me through the process, and I made it happen. I am now a published author and with this accomplishment under my belt I pushed forward becoming a public speaker and Child Advocate/Massachusetts Ambassador through NAASCA (national association of adult survivors of child abuse). I use my title as a platform to share my story and raise awareness to these strong subjects that need to be talked about repeatedly until change can happen. My motto is “Embrace The Journey” because you never know what life may throw in your path.